1. The compilation and interpretation of research data on functional and other consequences of deficiency, change or excess of dietary energy. 2. The identification of related research needs and priorities, and the promotion of needed research. 3. 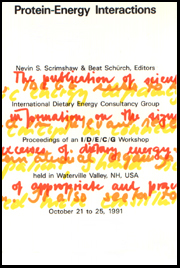 The publication of scientific and policy statements and other information on the significance of chronic deficiencies and excesses of dietary energy. 4. The identification and promotion of appropriate and practical means of corrective action. - Dr. W.P.T. James, Aberdeen, Scotland, U.K.
2. Are protein requirements affected by exercise when energy requirements are met?